Love is in the air! Seashell love, that is. We’ve got a sweet DIY that’s as irresistible as it is easy. 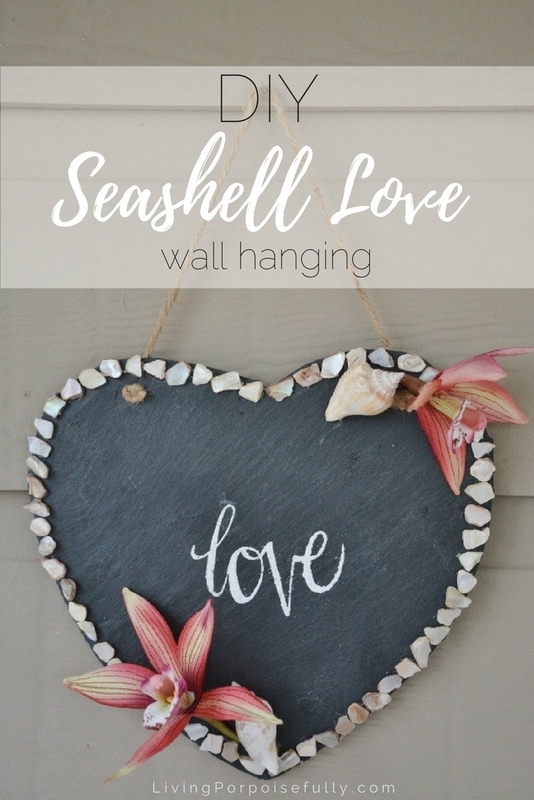 With Valentine’s Day around the corner, we’re celebrating shellebrating with a beachy wall hanging craft! With beautiful pinks and seashells that make love the focal point, it’ll be a creation that we’ll have hanging up way beyond Valentine’s Day. What’s more, it’s easy to make and can be customized to your color theme. And why not make it together with your sweetheart for a fun adventure, or even as a gift for a special family member or friend! We hope you enjoy and shellebrate in the meaning of love! If you’re using a silkscreen, place it on the heart. TIP: You may want to use masking tape or stencil tape to hold it down so it doesn’t move. With your finger, dab paint on over the words while holding it down (if you didn’t tape it down). Use a straight up-and-down dabbing motion to get the best results. We practiced on the back first! You could also use chalk instead of paint, or just write the word “love” yourself without the silkscreen or stencil. Hot glue the shell pieces around the border of the heart. We glued them individually (careful of the hot glue!) to keep it a little cleaner-looking. Hot glue the flowers and seashells. The flowers on our stem came right off when pulled, and you can use the scissors to cut any excess off the stem if needed. Hang and soak in the seashell love!